Riviera High School library promotes literacy, fosters a reading culture, and helps students and staff use ideas, information and technology effectively. It is a well organised library; well spaced and well set. 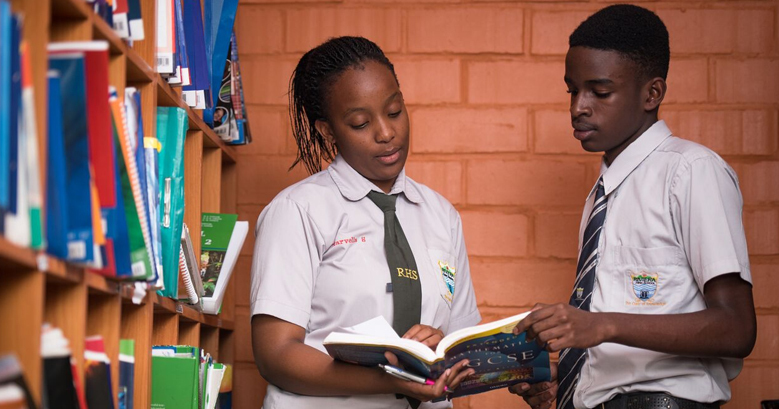 It is well stocked with books for two curricula with a borrowing section that enable learners to extend their reading beyond the library premises. It has other sections ranging from textbooks and reference books to fiction and general knowledge. Since the school aims at making learning a fun activity, there is an assortment of books and magazines available on general topics and separate sections for hobby-related books; travel, animal care, short stories, drama, poetry, astrology and other topics. The school subscribes to various dailies, weekly and monthly journals, newsletters and magazines, which includes National and International publications.